Provide comfort for the family of James Cleaver with a meaningful gesture of sympathy. 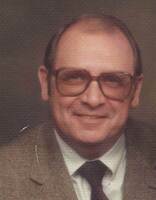 James Irving ‘Jim’ Cleaver, age 80, passed away on February 16, 2019, at Bronson Methodist Hospital in Kalamazoo, Michigan. He was born in April 16, 1938, in Flint, Michigan. James moved to Battle Creek as a child and graduated from Battle Creek Central High School in 1957. After high school, he enlisted in the United States Army and served in Germany and Korea. He was a manager at Michigan Bell Telephone Company and retired in 1994, after 28 years of service. Jim was a life member of the Battle Creek Elks Lodge #131 and a member of the American Legion Post #298. He loved classical music, reading, collecting coins, fishing and spending time with his family, especially trips to the casino with brother Bob. He is survived by daughters, Suzanne (Paul) Pitre of Niles, Michigan, and Dianne Cleaver of Three Oaks, Michigan; 4 grandchildren; brother, Robert B. Cleaver; sisters, Deborah (Robert Wiebe) Melges and Mary Kay (Don) Smith, all of Battle Creek, Michigan. 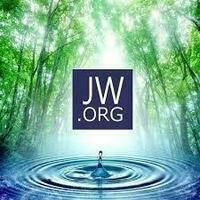 Jim was preceded in death by his parents, O. James Cleaver and Helen Hoyt Cleaver; sister, Margaret Ann Bennett; grandson, William; and brother-in-law, David L. Melges. In accordance with James' wishes, cremation has taken place and a service will be held at Fort Custer National Cemetery in Augusta, Michigan, on May 29, 2019, at 2:30. To send flowers in memory of James Irving Cleaver, please visit our Heartfelt Sympathies Store. Provide comfort for the family of James Irving Cleaver by sending flowers. Jim trained me when I first joined Michigan Bell in 1970. Jim was friendly, patient, and encouraging. I continued in my career with the Bell System for 17 years, now working for a different telco. THANKS to Jim for the GREAT START! My condolences to his family and friends, I am sure you enjoyed his life. So very sorry to note the passing of "young" Jim Cleaver while checking the paper here in SW Florida this morning. Working with his dad "the older" Jim Cleaver for many years at WBCK, I got to known the entire Cleaver family. I have many great memories, especially those at "the lake". My condolences to my old pal Bob and the entire family. To the family, I would like to send my warm Christian Love and condolences I also would like to share with you a comforting PROMISE that is found in God’s word the Bible. At John 5v28,29. Jesus says that there will be a RESURRECTION! And by means of this resurrection our Dear Loved Ones have the hope of being restored to the days of their Youthful VIGOR! (Job 33v25) They will be able to enjoy this Earth FOREVER in the Abundance Of PEACE! (Psalms 37v11,29) A truly encouraging PROMISE that will soon take place! Jim, you left too soon. I’ll never forget how you liked to cook in a big way. When you pulled a prank your devilish smile brought out those big dimples. Save me a seat at your heavenly table!